I’ve said it before, but it’s better to slant translations to plurals when there’s doubt. 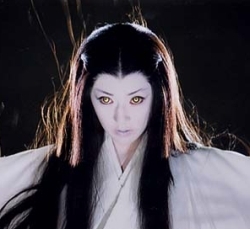 In this case, Kwaidan is an anthology film with four separate “ghost stories,” with that of Yuki Onna being one of them. A good summary of her myth in Kwaidan can be found here at SaruDama, and I really don’t want to repackage what I think is a well-written summary. This may be the version that made it into a movie, but Yuki Onna goes way back in folklore. In essence, we may see her as the personification of death by exposure in winter, the silent embrace of the snow, as if being embraced by a woman. Thus, her very existence is essentially poetic. Actually, I had my first cultural exposure to her playing Final Fantasy VII, where I encountered her as an enemy while wandering a glacier with my main character’s party. She breathed cold and in general lived up to her billing. Now, the girl by the same “name” (it’s more of a title in this case) in Nurarihyon no Mago is a sort of “new generation” Yuki Onna because we’ve seen a fully mature version in flashbacks relating to Nurarihyon when he was in his manly prime. Nonetheless, I admit to liking her design quite a bit. She can still freeze you with a cold stare or a cold blow, but well, she’s warmer and cuddlier none the less. This entry was posted in Anime, Culture, Folklore, Japan and tagged anime, culture, folklore, Japan, Japanese, Kaidan, Kwaidan, Nurarihyon no Mago. Bookmark the permalink. 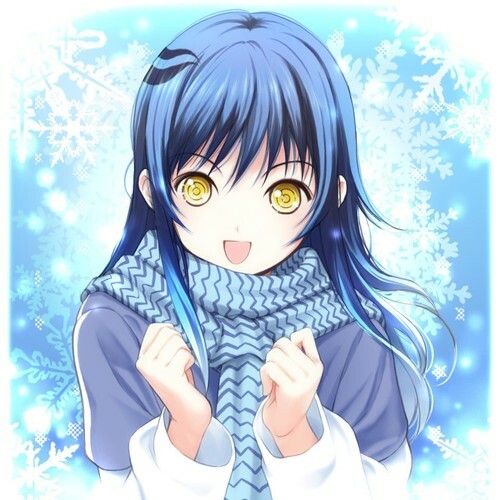 Just gotta love Tsurara [the cute Yuki-Onna in the bottom picture]! Yeah, she’s great. I hope they give that anime future seasons. I really enjoyed what I saw. Of course, the manga has to be out ahead far enough to support that too. Incidentally, they did indeed give that anime another season and it’s been, once again, a favorite of mine. I just haven’t had time to post about all my favorites like a crazed fan. Things are moving too fast in other areas.